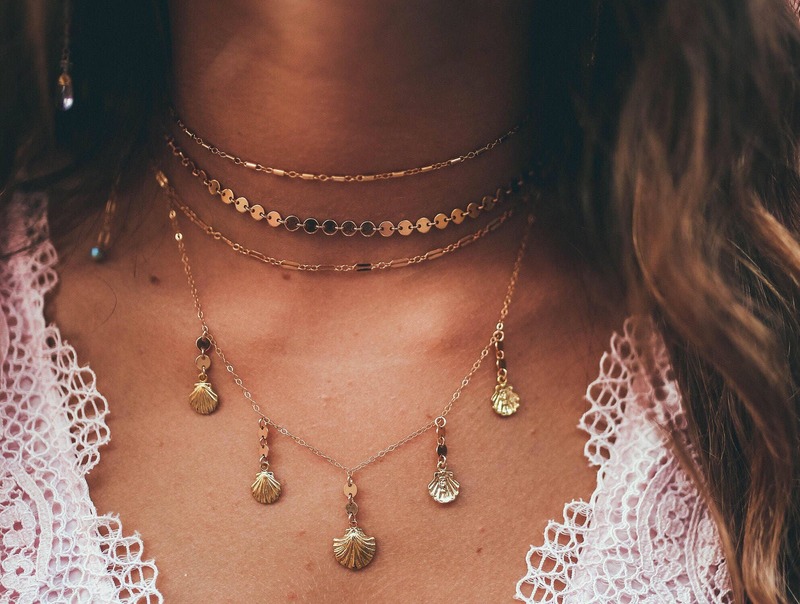 This 14k gold filled choker can be worn alone or layered with any piece. Held on an adjustable chain, which can be worn at 12" for smaller sizes to 14". 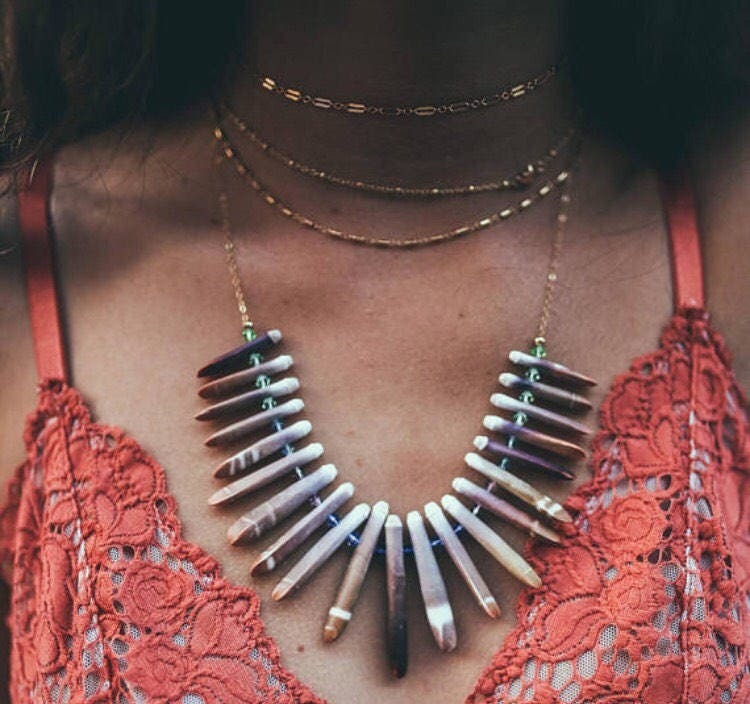 An extender has been placed on this necklace so that you can adjust to your length. Please let me know if you would like a longer extension on the chain. 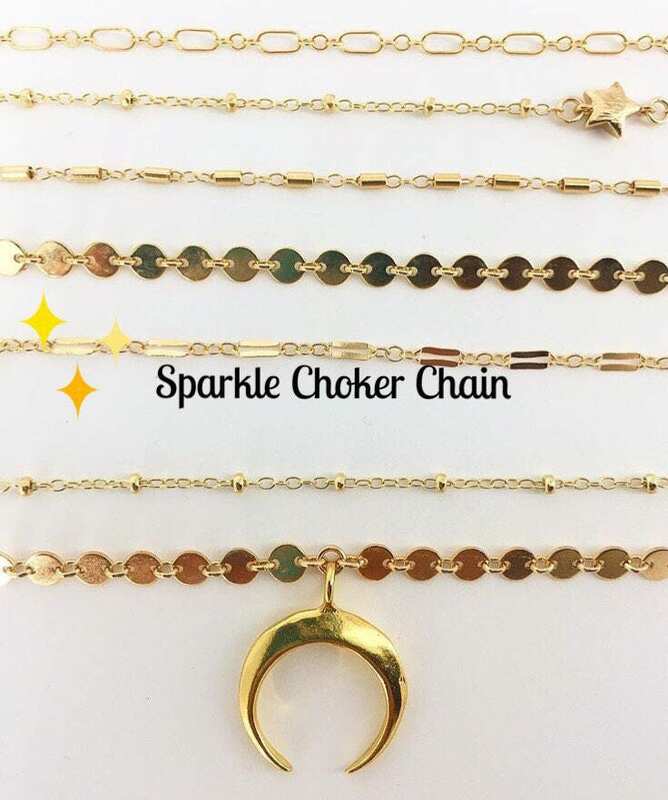 This listing is for the sparkle choker, other necklaces shown layered are not included within this listing. In the first picture, the sparkle choker is the 1st necklace. 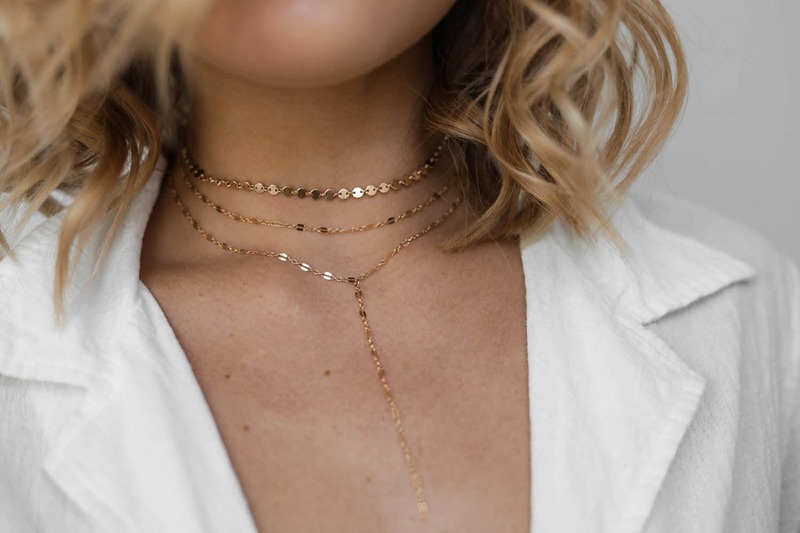 In the second picture, the sparkle choker is the 2nd necklace( middle choker).